Human Resources and Organizational Development is not for the faint of heart. The soft stuff is the hard stuff – our expertise in organizational alignment, talent development and executive-level facilitation will guide you through the tough discussions and decisions required to gain traction with your initiatives and move your business forward. ROO Solutions provides high value customized solutions at reasonable rates. We take time to listen and understand your objectives up front which avoids rework later. We work within your budget parameters and the intellectual property developed is yours to use in the future. Our passion and inquisitive nature inspire us to understand the uniqueness of your organization and deliver customized, sustainable solutions. Every project develops your HR staff and breathes new life into your organizational systems. 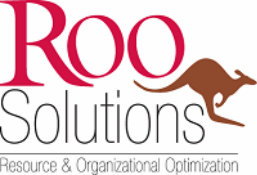 Kangaroos strong legs act as "springs"
ROO Solutions has both the skill and the tact to appropriately challenge assumptions and spring you to new levels of organizational performance.